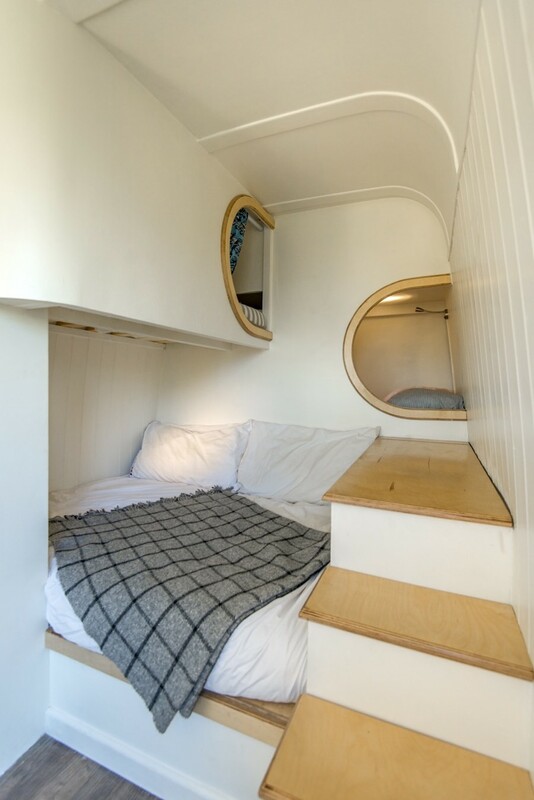 Here’s some photos of my tiny house / camper conversion if you’re interested. Keep up the good work with the blog – I found lots of inspiration on your site. A converted Mercedes sprinter van with 3 rear sleeper quarters. More info. here. It’s a nice camper, but not really what the website is supposed to feature. Maybe the guideline should be that if there’s no bathroom, then it’s not really a “home”? Even as a camper, there doesn’t seem to be much ventilation. 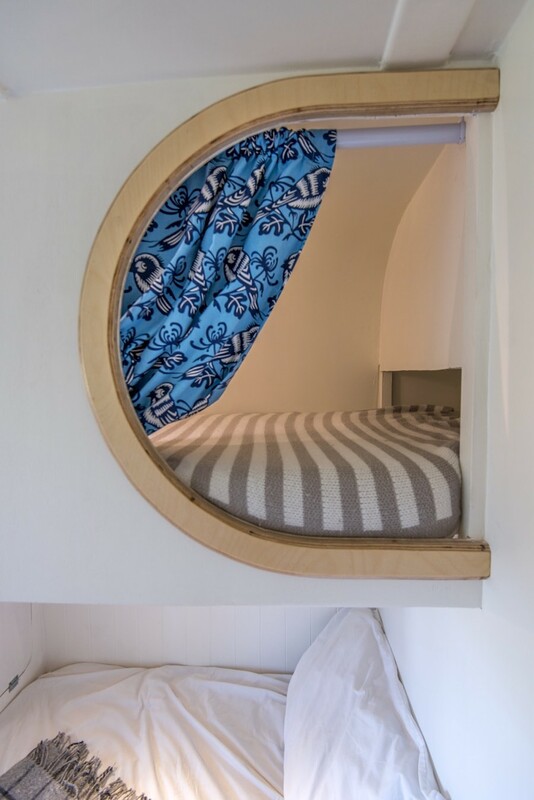 I’d hesitate to sleep in such enclosed spaces with a propane stove installed. Where oh were is the storage space? 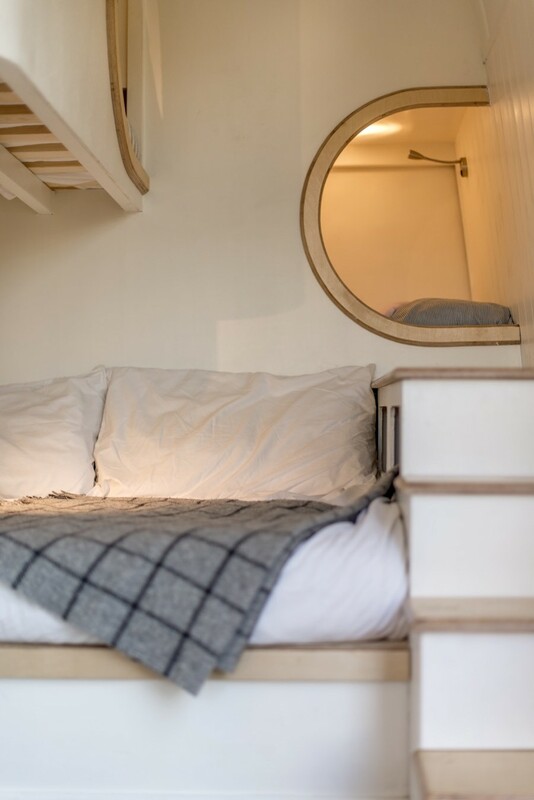 Love the concept but having lived in a converted long wheel Base vehicle without a bathroom I think storage is way more important! I found it interesting so thanks for posting – I have no van or very much skill, how long and how much money to get something like this together? Wow, I love this one! And yes it can be a home. My home doesn’t have a plumbed toilet does that make it not a home? 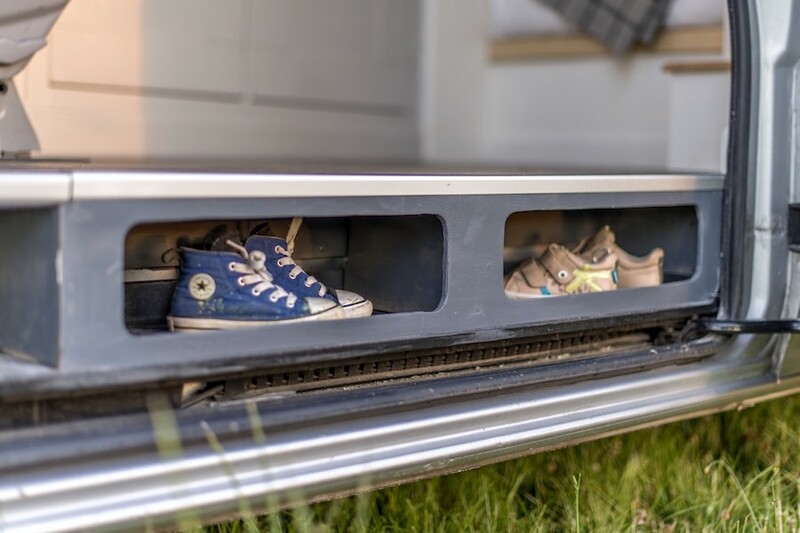 I see they have children and from the size of the wee shoes those bunks would probably be perfect! 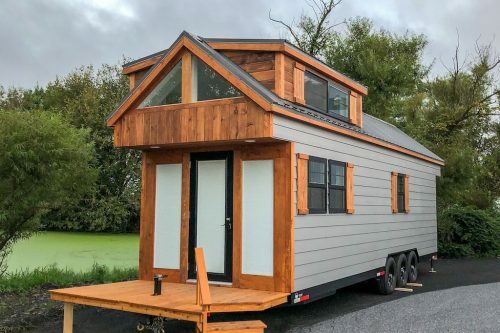 I am assuming they must be some serious minimalists, but it is laid out so well, besides toilets can be found anywhere and they are probably living outside more then inside! Beautiful wee home! Okay then, replace “home” with “house”. That’s the term I intended to use in the first place. This van would be an excellent way to tour the UK or US in a series of trips. But I certainly don’t see a family living in it full-time. This site has always featured campers; just look at the categories. Teardrop campers, for example. Also treehouses, retreats, burroughs, yurts, pods, gypsy wagons,shepherd’s huts, modules, ruins, tunnels, shrines,car trailers, bike trailers, and horse trailers. Basically, if it’s small but large enough for a human to go inside, it’s been here. 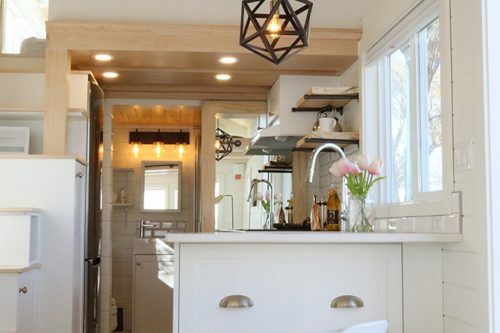 Isn’t that more interesting than just an adjunct Tiny House Listings? 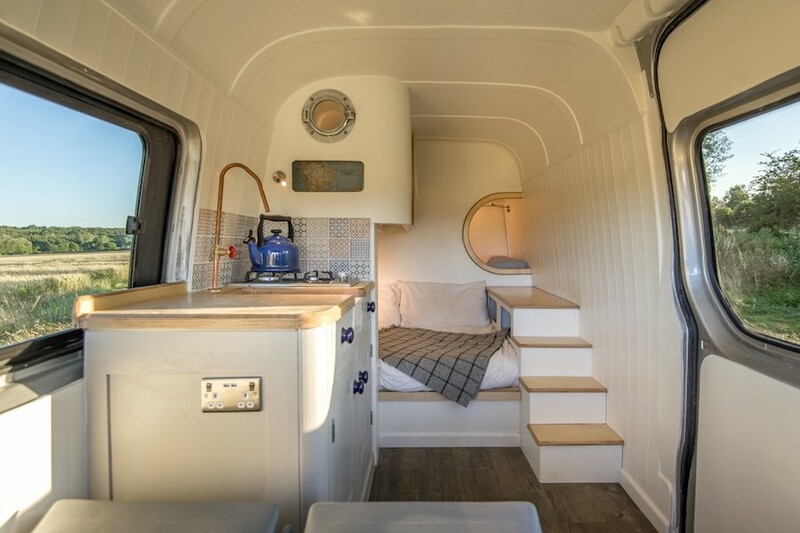 this converted van seems well done for a single adult with children, and without a sexual partner. the bath is a bucket??? I would prefere an Air Stream or an excellent rv. I am currently living in…. Do the featured items in these posts article HAVE to have them? or share something with others. Maybe the owners of this unit use a removable porta-potti or it has something hidden that they didn’t bother showing. 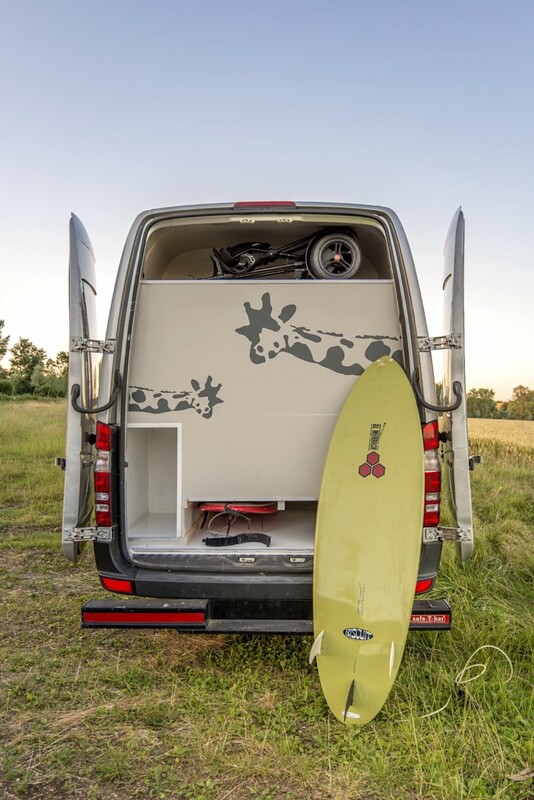 be that a car camper or a more conventional camper. 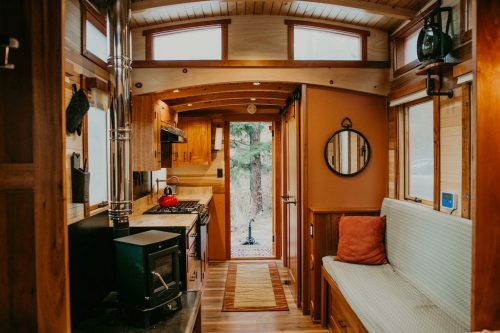 Keep showing ALL Tiny homes whether they have wheels,toilets or not! I guess the one child, that sleeps above the parents, is lifted into that bed. Because I do not see any other way for the child to get up there! And the one child in the bunk above the parents, gets up during the night and lands on mom’s/dad’d head! Rude awakening! Bravo! This is perfect! The Nattering Nellies here just don’t get minimalism, freedom, camping, adventure, or fun. Rock on! I love it! I rarely say that here, either. I DO agree, that for me, there would need to be many more windows and ventilation. However ~ I much much rather take a cross country trip in this than my car….which also doesn’t have a bathroom or even a comfortable place to pee in a bucket. Another advantage for me is its drivability. I would love to travel in a fully equipped, luxury RV ~ as long as I never had to stop. The thought of maneuvering such a beast even in a gas station gives me hives. This seems a lovely compromise. It’s definitely a camper, though, not a home. ( Still an option for this site, I’ve never seen any prohibition on bathroomless spaces). Happy Trails! 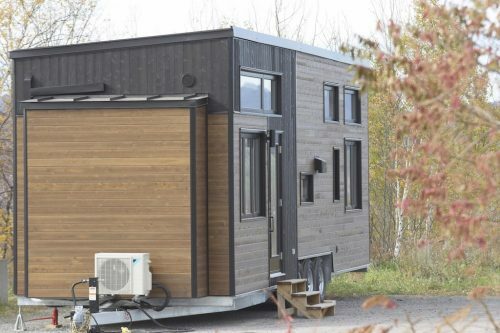 Do add some windows, though, propane can catch you up very quickly.